High up above the farms dotting Washington and Oregon’s common border lies a former elementary school where quiet, order and diligence reign supreme. On most days. 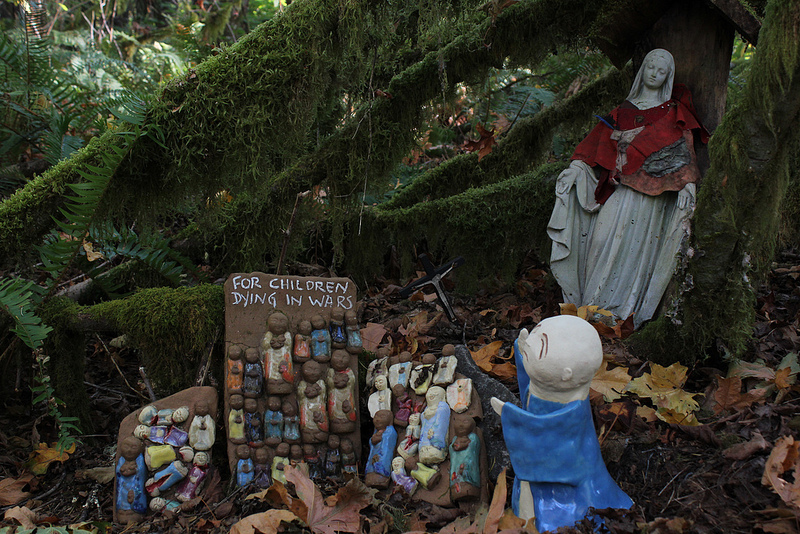 Facing civic consolidation, the school was sold off a dozen years ago to the Zen Community of Oregon. 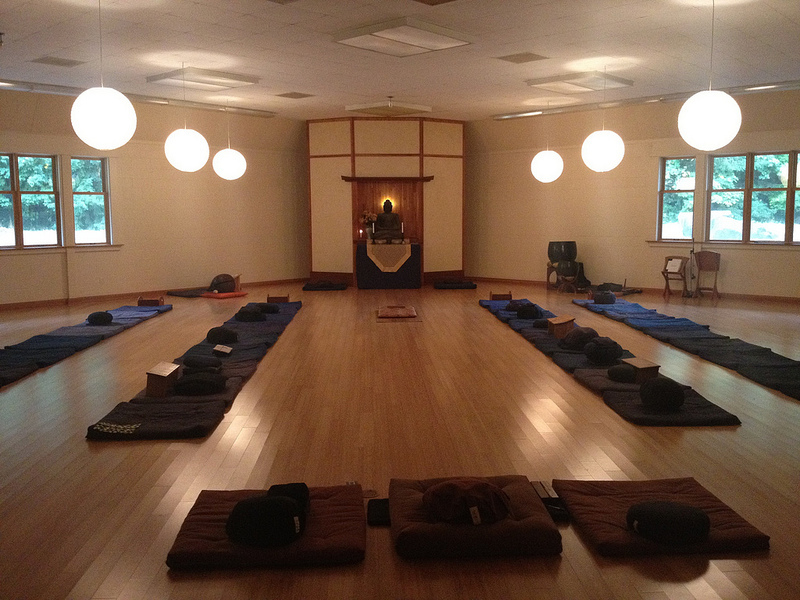 The ZCO had been based out of Portland, led by acclaimed author and Zen teacher Jan Chozen Bays. And although one’s first impression upon arrival at Great Vow might reflect his or her own reaction to primary scholastic institutions, the charms of this unique facility can make you forget its origins in short order. I arrived via bus from Portland to Kelso, WA, then a public shuttle bus from Kelso to Clatskanie, Oregon where I was picked up by one of the monastery residents in front of the town’s supermarket; a three-hour journey. One can drive directly from Portland and get there in under two hours. Chozen Roshi shares abbot duties with her husband Hogen Bays and both are wonderfully skilled teachers. They also have several resident priests who lead retreats and assist in overseeing the operations. I’d heard Chozen speak once or twice in New York and was moved by her gentleness and directness. 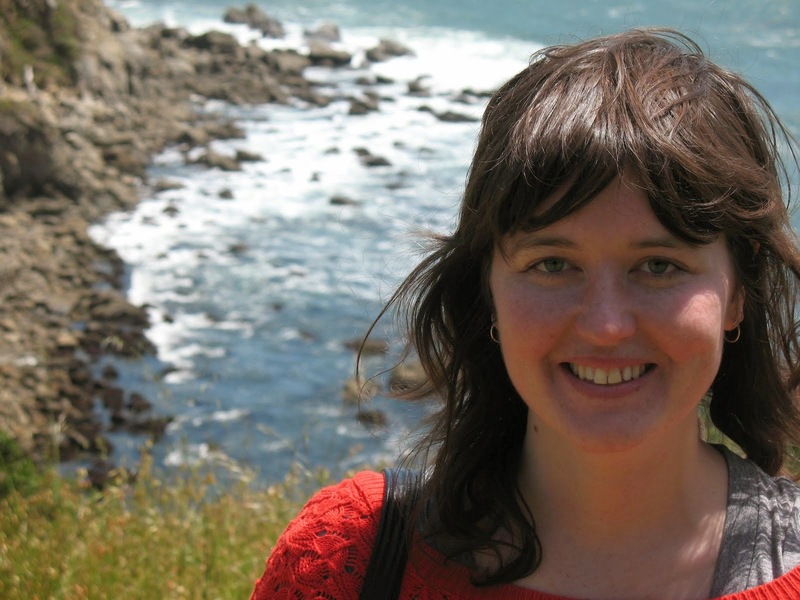 She’d studied alongside John Daido Loori (one of my teachers) in the 1970s at the Zen Center of Los Angeles and kept close ties with him until his passing in 2009. I knew that the two had at least as much in common as they were distinct and I was eager to see how this manifested in their respective monasteries. Suffice to say, Great Vow is suffused with a Northwest penchant for openness and experimentation and—dare I say—a more female quality than your standard Zen operation. Chozen was trained as a pediatric physician and her affection for children and those in need permeates her books and the buildings and grounds alike. One way this manifests is with the peppered presence of Jizo Bodhisattva figures scattered throughout the buildings and grounds, most visibly in the Jizo Garden. 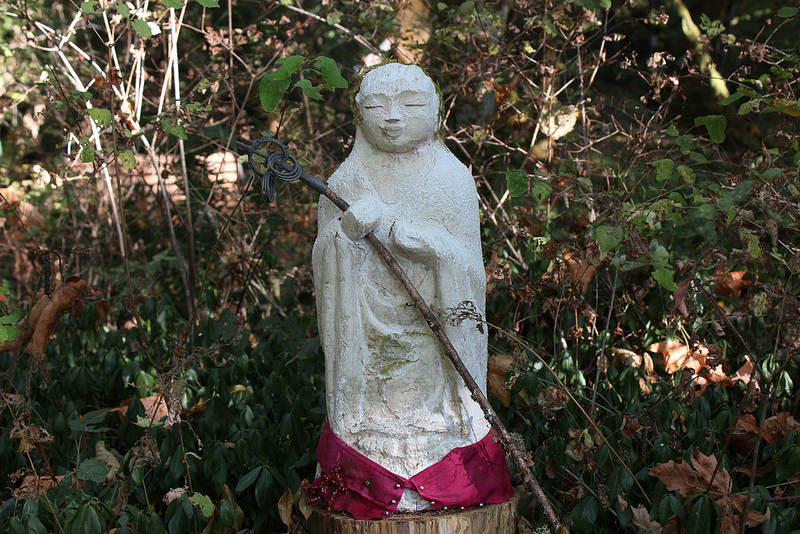 Jizo is the non-historical persona representing a Buddhist vow to protect women, children and travelers, and his garden occupies a swath of woods behind this monastery that is also dedicated to lost loved ones. 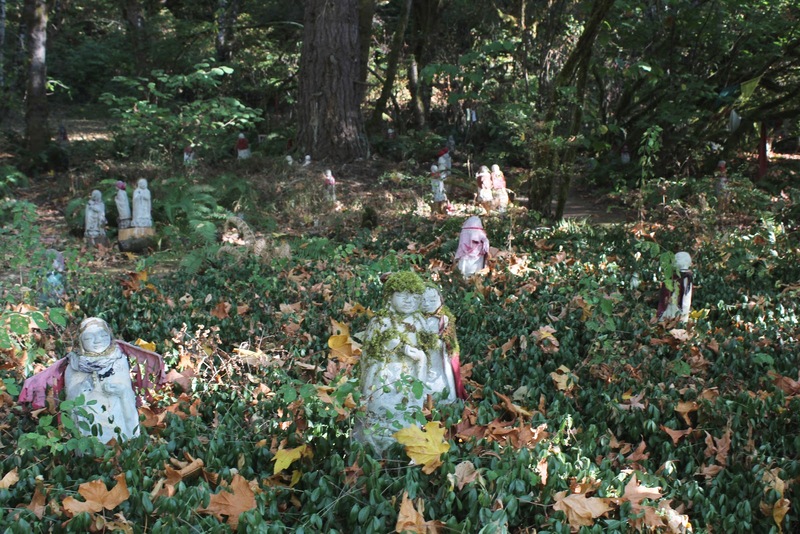 If something can be both moving and creepy at the same time, that describes my feeling in first finding myself in the forest surrounded by dozens of 18-inch high devotional figurines, nearly identical in cast but each garbed in their own fashion. Great Vow is a young monastery and it also attracts a lot of young folk from the city who come to stay for a few weeks, a few months, or a few years. And although I quickly overcame the suspicion that school buses would be arriving any moment with hostile children looking to take back their school from the Zennies, the environment does feel like a safe harbor where a certain kind of learning can take place. 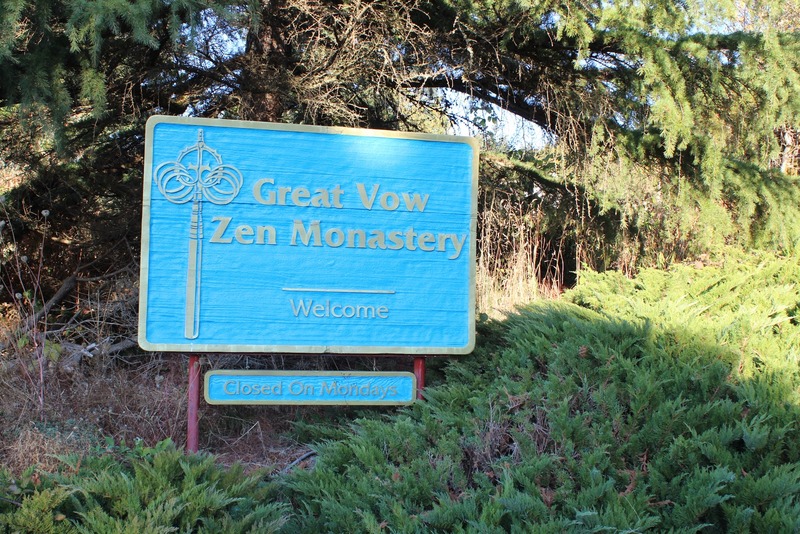 Great Vow holds regular meditation intensives throughout the year as well as retreats on topics such as mindful eating (also the subject of one of Chozen Roshi’s books) and Zen arts. 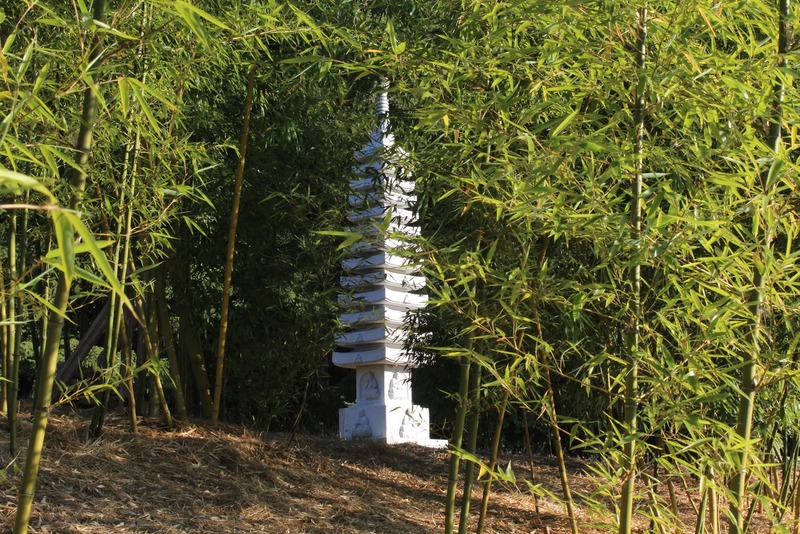 Click here for the next installment of Modern Pilgrimage: SAGELY CITY OF TEN THOUSAND BUDDHAS, Ukiah, CA!